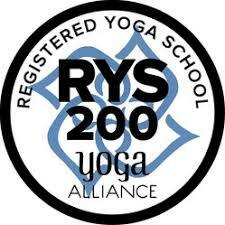 200hr Yoga Teacher Training with emphasis in Ayurveda, Tantra and Yoga lifestyle. Ibiza Location: Middle of the island near the village of St Gertrudis. Our home for the 3 weeks will be a gorgeous villa with all the amenities needed and a pool for those brave enough to want to have a dip. Quick peek below…. The LilyPod Yoga & Ayurveda Teacher Training Course is a spiritual practice in its own right, developed and guided under the guidance of an experienced yoga teacher / therapist Liilamaya Liliana Galvis with the assistance of an Ayurveda Doctor and a few local Masters. In this workshop, Marco will take us through a journey about the history of where this science of sound began, how it is interconnected with sacred geometry as well as how it was developed then transmitte down from Rishis to their Sannyasins into a healing realm. Marco will cover theory, mechanincs and practice on mantras, bhajans and devotional singing. In their dynamic talk they will explore how to rise above our accumulated traumas to achieve deep healing with quantum medicine. Your higher self – your spirit – is constantly sending you messages, and these manifest as symptoms, which are really just signposts to optimum health. The purpose of health is to raise our vibrations higher and experience life as the balanced multidimensional beings that we truly are. During their healing sessions, they can scan the body with the most advanced quantum health tools, and together they tune into your body, mind & spirit... For there is no healing in the body if the mind & spirit are out of balance. Siriya (Ámele) is a highly experienced homeopath, bioresonance practitioner & psycho-energetic healer. Stefan excels in holistic chiropractics, and he is also a Hot Yoga teacher, Martial Arts Master & Bodyworker. They live here on the island and are the directors of Raw Retreats in Ibiza which we run four times each year for natural detox & healing. They also run clinics in London, Copenhagen, Barcelona and Oslo. 10:30 am to Noon: lectures based on the following topics: Yoga and Ayurveda Theory, teaching Methodology, Philosophy, A & P, Lifestyle, Yoga therapy, Ayurveda knowlege, Video Tutorials, Yoga Therapy, Herb Alchemy, Ethics, Code of Conduct, etc..
14h – 16h Lectures. Continuation from the above. 16h30 – 18h Asana Practice in pairs, students will take turns teaching during this time. We start day 1. – Yoga Philosophy I & II – Includes foundation study of the Yoga Sutras by Patanjali & Bhagavad Gita. – Study and practice of Pranayama, mantra. How to use a malas-bead prayer necklace. – AYURVEDIC YOGA, the 2 sister sciences as they are meant to be. – Language of the Bhutas (5 elements and their connection to Yoga and Ayurveda), study for the DOSHAS and how to balance them in the Yoga practice. – Study of the GUNAS & VAYUS from an Ayurvedic & Yogic point of view. – Study of the concepts of: AGNI, AMA, DHATUS, KOSHAS, KRIYA, DHARMA. – Study of Yogic Anatomy & Physiology, movement mechanics and postural assestment, study of how breathing affects posture, PRANA as the link between Yoga & Ayurveda, breathing energetics and pranayama techniques to sooth the Doshas. – Study of the higher energy Centers: CHAKRAS, MARMA, NADIS. – The Alchemy of Yoga & Ayurveda: DINACHARYA, KRIYAS, MANTRA, MUDRAS, BANDHAS. – Ayurvedic nutrition & Sattvic eating. – Basic fundamentals of Ayurvedic massage. – The business of being a Yoga Teacher, Yoga Teacher Ethics & Code of Conduct. – Tuition & Certificate upon successful completion of 100% of the course. – Accommodation at a gorgeous villa set in the North lush country side of Ibiza. – Course Manual and handouts. – Special Workshops on ayurvedic nutrition & cooking, devotional mantra/kirtan singing and its benefits, meditation, Sanskrit and Hindu philosophy by an Ayurveda Doctor, basic fundamentals of Ayurvedic massage. Tell us in detail why you would like to take this course, how much do you know about Ayurveda, what do you do right now that keeps you busy? What is your long term plan? Your vision? Food allergies, do you need special considerations of any kind? would you like to room-alone for an extra cost if there is space available?